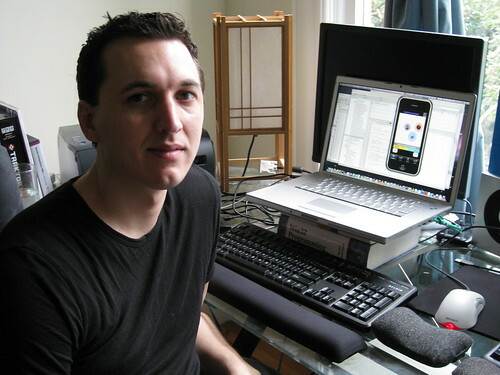 Discussion in 'Pre-Orders, Soft Launches, and Upcoming iOS Games' started by rcloudsoftware, Mar 26, 2009. I've been developing a game for the last few weeks under the working name Spellwars, I know some of you have been following it. For anyone at GDC, or in San Francisco, I will be at the meetup tomorrow night (marriot, 8:00), I have a playable, working build of the game on my phone...and I would love to show it to everyone interested. The game is still, without question, early stage in development...but the combat system and spell database is built out enough to be able to build a customized spellbook, and play a fun, strategic battle against even a mediocre CPU opponent. As an added bonus, my main designer has built a beautiful UI that I am very proud to show, and I've found a couple spell artists I've been working with, their initial contributions have given the game a solid artistic beginning. I hope to see many of you there, I will be wearing a pink shirt, and this is more or less what I look like. Don't be shy, I'm looking forward to meeting as many of you as I can.